The state of printing from a Chromebook is still a bit precarious depending on your printer as well as your network setup. 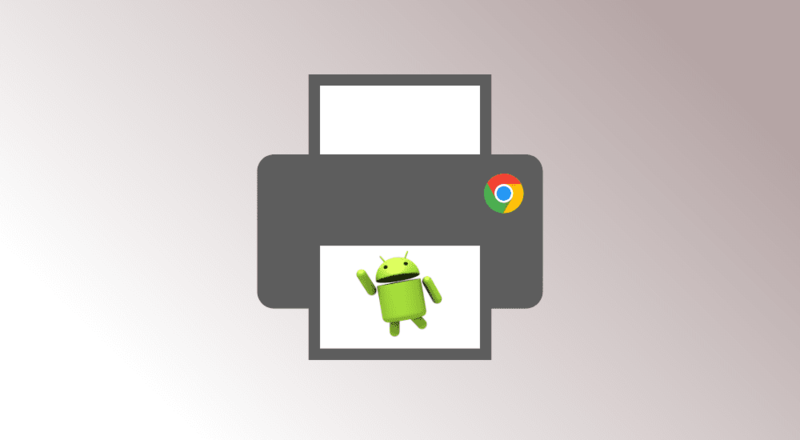 Recent updates to Chrome OS have opened the door for a more native experience that will soon bypass the need for Google Cloud Print and GCP capable printers. Chrome Apps such as HP Print for Chrome will even allow you to print via USB but of course, you have to have a compatible HP all-in-one printer. All of the current methods are great and all but there are still quite a few scenarios where Chromebook users may be left out to dry with the current printing hardware on hand. Thankfully, there are some nice people in our building who have MacBooks and I was able to get what I needed via their devices. Still, this is frustrating, to say the least. If there has been an area Chromebooks have failed to be even mediocre, it is printing. I print from my phone all the time. Currently, I have the Brother iPrint & Scan app as well as the Epson iPrint app on my LG G6 and they both work great. Guess what? I HAVE ANDROID APPS ON MY CHROMEBOOK! I immediately downloaded the Brother app from the Play Store and waited anxiously for it to install. Once it was ready, I launched it and clicked the button to find my printer. I was not happy as you can imagine. It’s an Android app on an Android-capable device. Why wouldn’t it work? I didn’t let that discourage me. I clicked the “add manually” button and entered my printer’s IP address. Just like that, my printer showed up. I set it as my default printer and, within seconds, was printing like a champ. I’m not sure why it didn’t find the printer to begin with and frankly, I’m not going to lose any sleep over it. I packed up my things and set off to find an Epson printer to test and sure enough, it worked equally as well and didn’t even require a manual IP entry. So, there you go. If printing from your Chromebook is still a thorn in your side, here’s a quick, easy workaround that might just help you out. Hopefully, this will only be a stop-gap to ease our pain while true, native Chromebook printing finally becomes as easy as everything else Chrome OS. Hope this helps. I know it made my day.